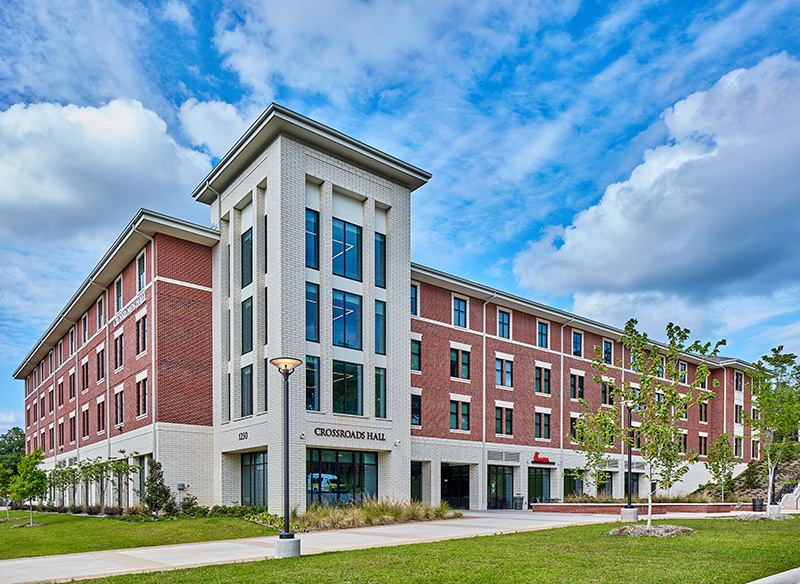 TJC’s Newest Residence Hall opened in Fall 2015! A prime location on the west side of campus, between Baxter St. and Magnolia Dr., means residents will have an easy walk to the new Robert M. Rogers Nursing and Health Sciences Center and the main campus. The 4-floor hall houses 248 students – both freshmen and returning students. The first is reserved for males and the second floor reserved for females. The upper two floors are coed by wing. The building is managed by an Area Coordinator who is assisted by six RAs (Resident Advisor).